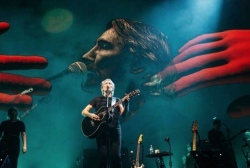 A fourth date has been announced for Amsterdam as part of the Roger Waters 2018 Australian/New Zealand/European Us + Them tour, with tickets going on sale later this week. The link to use for tickets is below - just click on the "on sale" information link. Our thanks to Erwin de Windt for the information. Dedicated pages for each newly announced show on the tour are now live, joining the show pages already shown in the 2018 Roger Waters tour area. If any further dates on the Australian/New Zealand/European/South American tour is announced, a page for each concert will be in place: the location to find out information on each show, and to see, once the concert has taken place, pictures, video and commentary.